Please see our news page to see how our pups are doing! FC AFC Candlewoods Life is a Highway, "Freeway" (NFC AFC Clubmead's Road Warrior X FC AFC Tequila Sunrise IX). Freeway is the total package as a national competitor, intelligence, drive, marking, desire and companion. Freeway is a consistent and talented competitor who qualified for 7 Nationals and was a 3X National Finalist! He accumulated an impressive 95.5 All Age Points. Freeway siblings include: NFC AFC Fresh Squeezed Juice (189 AA pts, 52 Derby pts), FC AFC Truline's Walla Walla Sweet ('08 High Point Derby Dog with 66 Derby pts), FC AFC Sml Stella's Got Her Groove (34 AA pts), Sunrise Over Coletta Bay (15 CDN AA pts), Oh Boy MH46 MNH. Hips – Good (LR-181374G29M-VPI), Elbows – Normal (LR-43303M28-VPI), Eyes- Normal, CNM - Clear, EIC - Clear. Revitt Up's Night Furry MH QA2, "Blaze" (CNAFC CFC FC AFC ACES HIGH III X HRCH Mad River's Supernova MH) is out of our Star X Willie breeding that has produced many successful competitors in Field Trials and Hunt Tests, including the 2013 High Point Derby Dog, FC AFC Lexie! Blaze's Sire, Willie accumulated an incredible 349.5 All Age Points (8th highest of all time) as well as several notable accomplishments (see detailed pedigree for highlights). With very limited trialing, Blaze has earned a Derby and Qualifying win and her Master Hunter title. Blaze is the total package, truly blessed with talent and personality! She is an excellent marker, runs fast and stylish, intelligent, tractable, loves to work and hang out with the family. Blaze is full sibing to FC AFC Kirkwood's Ace of Lone Star ('13 High Point Derby Dog with 77 pts, 63 AA pts), Short Stack Double or Nothin' (QAA, 25 Derby pts, 2 Am wins), Deal Me An Ace (QA2, 22 Derby pts, 7 AA pts), Frankel's Perfect Line Thunder (QA2, 18 Derby pts), Aces Full (QAA, 12 Derby pts), The Jordan River (QAA, 5 Derby pts), Marks A Lot I Like It That Way MH39 MNH (Youngest dog at '12 Master National and qualified). GMHRCH Revitt Up's Power Surge MH19 MNH. 60 lbs. Hips-good, Elbows-normal, Eyes-normal, EIC-clear, CNM-clear. 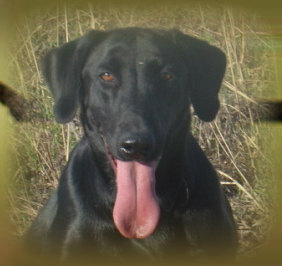 Revitt Up Retrievers is pleased to present this exceptional breeding. This breeding offers an exceptional proven pedigree of top level performers and producers. Puppies will be well socialized, including: early neurological stimulation, introductions to birds, water (weather permitting), gunfire, retrieving, crates, traveling, children, potty training, etc. Puppies will have dew claws removed, shots, and de-wormer. Puppies come with a 26 month hip and eye guarantee. Puppies due March 4, 2019. All puppies are black, CNM and EIC clear. Please call for additional information 903-441-5863. Taking deposits now. NAFC FC Texas Troubador, "Tubb" (FC AFC Weezer Retreezer X NFC AFC Candlewood's Something Royal). Tubb is the hoped for result out an exceptional breeding of two, 7 time National Finalists, Weezer and Windy. Tubb is following his parents legacy as a 5 time National Finalist, including his WIN at the 2014 National Amateur! Tubb began his Field Trial career earning 24 Derby Points and making the National Derby List. As a 2 year old, Tubb earned 3 back to back WINS to earn his AFC Title. Tubb has been a very impressive and consistent competitor and currently has 206.5 All Age Points. Tubb is also proving to be a great sire (although they are all still young and just getting started), currently 12 Titled Offspring, #2 Derby Sire for 2016 with 11 progeny on the National Derby List and was #2 Derby Sire in 2015. 78 lbs. Hips-Excellent, Elbows-normal, Eyes-normal, EIC-clear, CNM-clear. Revitt Up's We Found Paradise, "Dice" (FC AFC Trumarc's Hollandaise X Sunrise Over Coletta Bay QAA). Dice is an excellent marker, runs fast and stylish, intelligent, tractable, birdie, and loves to hang out with the family. Dice is a full sibling to AFC Rumble Atop Mount Hood, She Was Perfect Thursday QAA (2017 High Point Derby Dog with 77 Derby Pts), Slackwaters Dream Girl QA2, WHK's The Ultimate Adversary QAA. 60 lbs. Hips-Good, Elbows-normal, Eyes-normal, EIC-clear, CNM-clear. Revitt Up Retrievers is pleased to present this exceptional breeding. This breeding offers an exceptional proven pedigree of top level performers and producers. Puppies will be well socialized, including: early neurological stimulation, introductions to birds, water (weather permitting), gunfire, retrieving, crates, traveling, children, potty training, etc. Puppies will have dew claws removed, shots, and de-wormer. Puppies come with a 26 month hip and eye guarantee. Puppies born February 22, 2019. All puppies are black, CNM and EIC clear. Please call for additional information 903-441-5863. Taking Deposits now.